In an effort to deter people from injecting drugs in their bathroom stalls, retailers have begun installing blue light bulbs in their restrooms. The idea is that the blue light prevents people from seeing their veins and injecting in the desired spot. 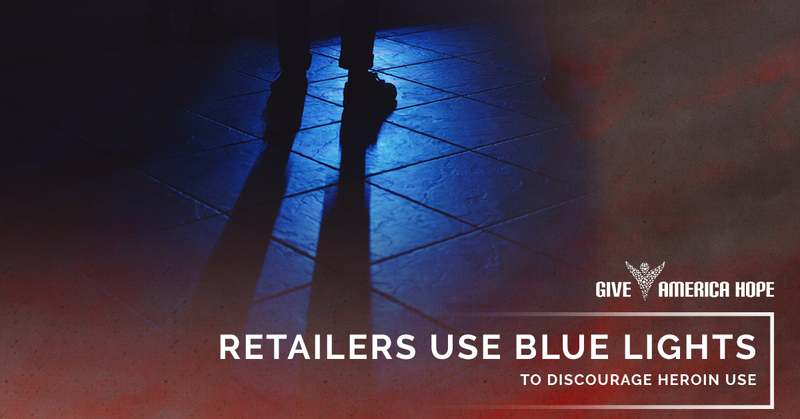 While this concept has been discussed for quite some time, it is in the context of the national conversation about the heroin epidemic that as many as 20 stores have begun installing these blue lights. One such store is Turkey Hill Minit Markets, a chain based in Lancaster, PA, that is working with a loss prevention group to test the success of the blue light strategy. Initial outlooks are promising. In the past, Turkey Hill employees would often find used needles or even people overdosed in their restrooms. It has now been six months since this strategy was first implemented, and Turkey Hill has not seen a single heroin overdose since. The loss prevention group has also instituted other security measures, including better exterior lighting, new window signs so that employees can see outside more easily, and new training for security. In addition, Sheetz, a convenience store chain with more than 500 stores, installed blue lights in the restroom of their New Kensington store outside of Pittsburgh last fall. Seeing good results, they have since installed the blue bulbs in their Huntington, VA store’s bathroom as well. Earlier studies of blue lights as a deterrent for heroin use pointed out certain flaws in this practice. People who use opioids reported that the blue light would not deter them from shooting up if they were going through withdrawal. Public health experts also present issues with the technique, saying that it stigmatizes drug users and makes it more likely that they will hurt themselves while injecting. Beyond the blue lights, public health officials recommend other interventions. One is to install needle disposal containers to protect the public from used needles. In addition, it is suggested that retailers install stall doors that swing open to make it easier to reach someone who has overdosed in the bathroom. The blue light intervention has also made its way to Philadelphia, where they seen a more than 30 percent increase of overdose deaths due to fentanyl, a synthetic opioid. The city has begun distributing kits to residents to help address this issue which include “no trespassing” signs, a tool to pick up used needles, a needle disposal box, and a blue light for the front porch.